Fans of Fallout 4 are anticipating the release of the game’s final DLC called Nuka World. However, another DLC called Vault-Tec Workshop will be released before that. Fans are more excited about the Nuka World DLC because it is considerably bigger than the Vault-Tec Workshop DLC. For those who absolutely cannot wait to play the DLC, Fallout 4 will be having a beta for that first before its intended release date. Interested? You can sign up HERE. Fallout 4 also has the DLC already available for pre-order and you can get it for $19.99. But you can also get the Fallout 4 Season Pass for $50.00 and it will have the complete DLC’s for the game (as the DLC’s become available that is). Here is Bethesda’s official description for the Nuka World DLC. 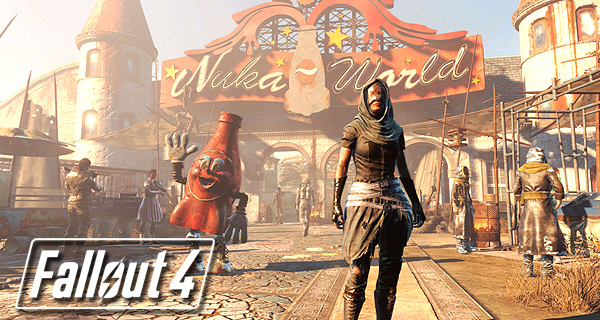 Take a trip to Nuka-World, a vast amusement park how a lawless city of Raiders. Explore an all new region with an open wasteland and park zones like Safari Adventure, Dry Rock Gulch, Kiddie Kingdom, and the Galactic Zone. Nuka-World features new quests, Raiders, weapons, creatures and more. Enjoy the ride. Rumors have it that the Nuka World DLC will be available by August and the Vault-Tec DLC will be out this month. However, we still don’t have any specific dates available. The Nuka World DLC and Vault-Tec DLC will be available for PC, PlayStation 4 and Xbox One. Watch: Fallout 4 Far Harbor Trailer Get to see the Fallout 4 Far Harbor Trailer here!